Share the post "Album review: JAWBONE – Jawbone"
Pete Feenstra chatted to Marcus Bonfanti about Jawbone for Get Ready to ROCK! Radio and playing tracks from the new album. Jawbone take their name from a song from The Band’s self-titled 1969 second album, though their range of influences extends beyond a handful of bands such as Little Feat, Creedence Clearwater Revival, Crosby, Stills, Nash & Young and The Band, to an era when songcraft and musical ability held sway. Happily Jawbone embrace both those elements and better still, manage to glue together the disparate songwriting and musical talents of Paddy Milner and Marcus Bonfanti over a peerless rhythm section of bassist Rex Horan and drummer Evan Jenkins. They are smart enough to channel their influences into something uniquely their own, based on strong song writing, mellifluous harmonies, alternate lead vocals and great playing. As a result, the self titled album has an organic feel with contemporary production values and a pristine mix that contributes to a glorious debut. It’s almost as if they joined up the dots from the past and added some evocative art work and contemporary lyrics as part of their own unique gumbo. Their songs are partly autobiographical, touch on self analysis, and are full of imaginative themes. They make good use of tight arrangements with fleeting moments of retrospection, good humour, poignancy and even nostalgia. They open with the uplifting ‘Leave No Traces’, which is everything you would want from new roots rock band. They mine a strong melody, add a New Orleans undertow and make the best of a great alternating vocals. They also add rich harmonies on a great hook, as part of a song that lyrically asks the question about who we are. And the band delivers the perfect musical repost with some opening swagger. And having started with a flourish, they slip into a swampy funky feel of ‘Get What You Deserve’, which enjoys a sudden ascending hook that dominates the song, as the band glides on the back of some glistening harmonies and Paddy’s double piano and cool organ lines. They later return to a similar funky feel on ‘Rollin On The Underground’, on a great example of the primacy of the vocals on the album. 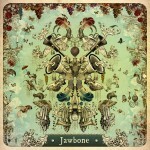 ‘Jawbone’ is built on strong original material, meaningful lyrics, burgeoning vocals and simply great playing. The credits tell us it was mixed in New Zealand and mastered in Devon before, ‘being bounced to tape’, which goes some way to explaining an organic warmth that still manages to retain a crisp sonic quality. All the solos support the songs and the hooks rise mellifluously rather than being fused on to make an impact. Put simply, the band re-imagines the past in the present through the integrity of their lyrics which are fresh and original. There’s some clever word play on ‘Get What You Deserve’, along with fine vocals on a song that could be part of Little Feat’s back catalogue, except it has stellar vocals and a lovely staggered ending, as the piano brings the band back in again on a bristling finish. The opening brace of songs creates the sort of momentum that gives the album both its energy and its substance. Make no mistake, ‘Jawbone’ is very much an old school album that ebbs and flows with changes of tempo and musical diversity on musically related songs. The nicely ragged opening to ‘When Your Gun Is Loaded’ could be The Band, before the harmony vocals and piano take over. There’s also a memorable opening piano part on ‘Family Man’, as Paddy’s adds a warm vocal to lead the band into some nice lyrical duality and another catchy chorus that sweeps all before it. There’s so much going on musically and the changing front line vocals brings a sense of diversity, nuance and contrast. This is exemplified by the big production and faux western filmic feel of ‘Bet On Yesterday’, complete with mariachi trumpets. ‘Big Old Smoke’ is different again, being a rocking slide-led piece that offsets a bouncy arrangement with Bonfanti’s nicely weathered vocal on an uplifting hook. ‘Two Million Hearbeats’ provides the kind of eclectic subject matter that gives this album its originality, while Paddy’s closing ‘The Years Used To Mean So Much’ again mirrors The Band, complete with husky harmonies and heartfelt lyrics. ‘Jawbone’ is a work of art. Each song is like a meaningful brushstroke contributing to a bigger picture. It gently reveals more with each play, be it a poignant lyrical line, an enduring harmony or simply the uplifting nature of the music. This entry was posted in ALBUM REVIEWS, ALBUM REVIEWS (Mobile), All Posts and tagged album, Creedence Cleawater Revival, Evan Jenkins, funk, Jawbone, Little Feat, Marcus Bonfanti, Nash & Young, Paddy Milner, review, Rex Horan, rock, roots, Stills, The Band. Bookmark the permalink.